Motorists in New England are paying on average 3 cents less for a gallon of gasoline on the week with all states seeing prices at the pump either drop or hold steady. Today’s national gas price average is $2.48, which is 19 cents cheaper than a month ago. With the latest Energy Information Administration (EIA) report measuring gasoline demand at 9.2 million b/d, down 281,000 b/d from the week prior, retail gas prices are showing steady promise of returning to pre-hurricane rates. Over the last week, Hurricane Nate made landfall over the Gulf Coast and is now a tropical depression. Ahead of the storm, many Gulf Coast oil platforms and rigs were shut down and employees evacuated. In addition, two refineries, accounting for six percent of total Gulf Coast refining capacity, shut down. Early reports speculate that refineries did not sustain damage and operations could start up today, Monday. Overall, motorists will see minimal to no impact to gas prices in the region hit by the storm. Vermont’s average current price is $2.57 per gallon, which is 3 cents lower than one week ago and 29 cents higher than one year ago. New Hampshire’s average current price is $2.50 per gallon, which is 4 cents lower than one week ago, and 32 cents higher than one year ago. Maine’s current price is $2.45 per gallon, which is which is 4 cents lower than one week ago and 17 cents higher than one year ago. Massachusetts current price is $2.59 per gallon, which is is 3 cents higher than a week ago and 39 cents higher than one year ago. Last week’s EIA report showed that U.S. crude oil stocks fell by 6 million bbl since the end of September with almost 2 million bbl in exports and refinery utilization down half a percentage point to 88.1 percent of total capacity. Decreasing fall demand combined with ample supply and slowed U.S. production has kept downward pressure on crude oil prices. While market watchers are keeping an eye on U.S. crude oil exports, attention is now focused on whether the Organization of Petroleum Exporting Countries (OPEC) will extend their reduced production agreement beyond their March 2018 deadline in order to drive crude oil prices higher. One week ago OPEC Secretary-General Mohammad Barkindo said Saudi Arabia and Russia are leading discussions among cartel members about the future of their agreement and whether or not an extension is necessary to maintain market rebalancing efforts. OPEC members are scheduled to meet again in Vienna on November 30, to assess the market and discuss plans moving forward. Since late last year, efforts by OPEC to rebalance the market have had positive impacts on prices helping to buoy crude oil above the 2016 low of $26.21. 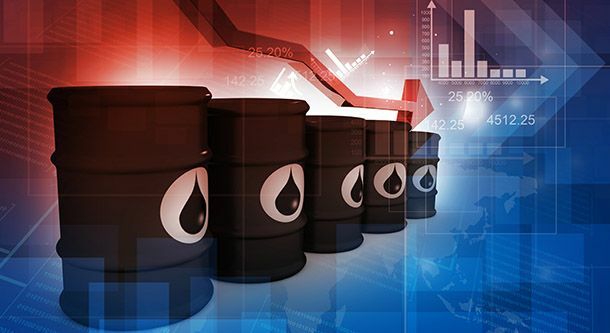 West Texas Intermediate (WTI) crude oil teetered around the $50-dollar mark all week, settling at $51.20 per as of Friday afternoon on the NYMEX.